Blazing a trail with every step, the climb wasn't just about the mountain. In 1858, Julia "Anna" Archibald Holmes took on a mountain, but her quest was so much more than just making the summit. The literal mountain was Pike's Peak in Colorado Springs, but her climb was toward something far more monumental: women's equality. Anna, born in Nova Scotia, was no stranger to setting her sights high for equality. In fact, it ran in her blood. As a young child, her family moved from Canada to Worcester, Mass., where her father was an active abolitionist and her mother was a suffragette, both parents teaching their daughter that a woman could do anything a man could do. In the mid-1850s, the Archibalds moved to "Bleeding Kansas," helping to form the anti-slavery stronghold of Lawrence. It was here that Anna met her husband, James Holmes, who was serving as a lieutenant to John Brown, the abolitionist vigilante. About a year later, they joined the Lawrence Party, which was striking out to take its share of Colorado Gold. Anna lived and breathed activism, and the journey to the Centennial State was no different. She dressed controversially in a shorter skirt and bloomers, insisted on walking rather than riding in a wagon, shared men's guard duty, and more. She was also a prolific journaler, and wrote down much of her observations as she was on the trail. Her journals were sent back east to be published. In 1858, she took on another mountain of a challenge once the party arrived in the state: summit Pike's Peak, and, in turn, proving that there was nothing a determined woman couldn't accomplish. Anna, her husband, and two other gold prospectors took the trek -- she dressed in her standard, and shocking for the time, bloomer costume, complete with moccasins. "Julia wore a short dress, bloomers, and moccasins, an outfit that was considered very indecent at the time," said coloradovirtuallibrary.org. 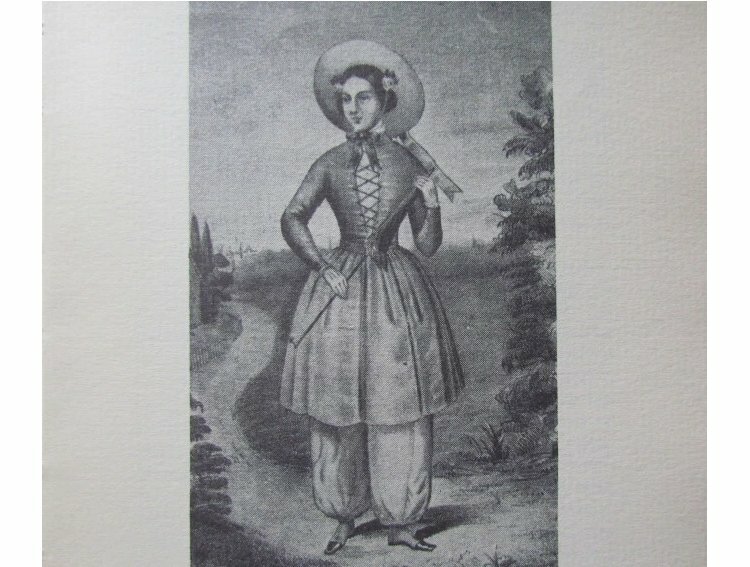 An example of the scandalous Bloomer Costume, or American Costume as Anna referred to it. The party took several days to reach the summit where they were struck with one of those famous, Colorado summer snowstorms. Unphased Anna wrote to her mother before the crew was driven from the summit, penning about the feat and its wonders. "Nearly everyone tried to discourage me from attempting it, but I believed I should succeed; and now, here I am, and feel that I would not have missed this glorious sight for anything at all," wrote Anna. Courtesy of the Colorado Women's Hall of Fame. It took over a decade for another woman to summit a Colorado 14er, but Anna blazed the trail that made it more acceptable for women to enjoy the outdoors just like men. She didn't stop fighting for rights after her climb. Eventually, she divorced and joined her mother in Washington, D.C. There, Anna rose to a government directorship, started women's suffragette association, and attempted to register to vote in 1871 as a part of a national campaign. 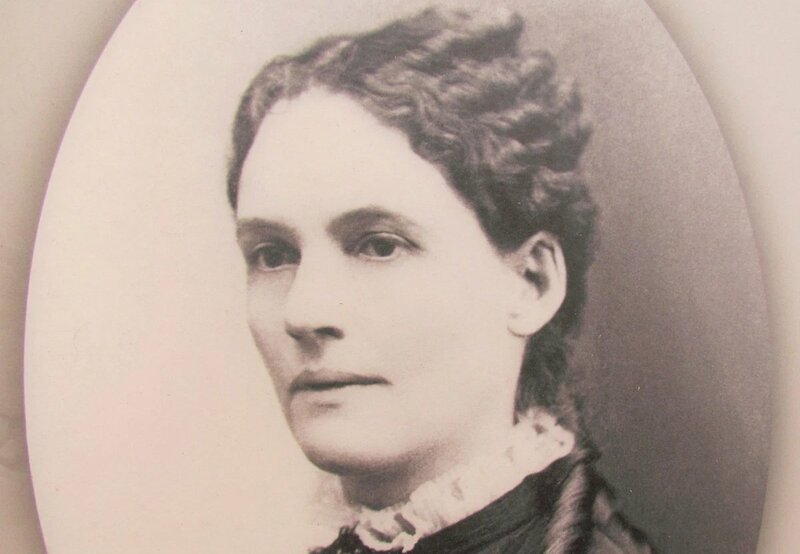 "Julia 'Anna' Archibald Holmes dedicated her life to proving women’s equality, but first by proving a woman could walk the Colorado Gold Rush and climb Pikes Peak," said the Colorado Women's Hall of Fame. She was inducted into the organization in 2014, nearly 160 years after she moved Colorado mountains to stand for equality. *Note: Holmes is considered the first "recorded" white woman to summit Pike's Peak. It is likely to have been climbed by indigenous people of the area, and possibly other settlers, prior to that. Read our previous installment of Our Coloradans Then: Jack Dempsey, the Manassa Mauler!